This is a beautiful and sophisticated black suede flogger with purple crystal rivet studs pressed into the tips of the falls. The studs give this flogger both a distinctive sound and a distinctive feel. 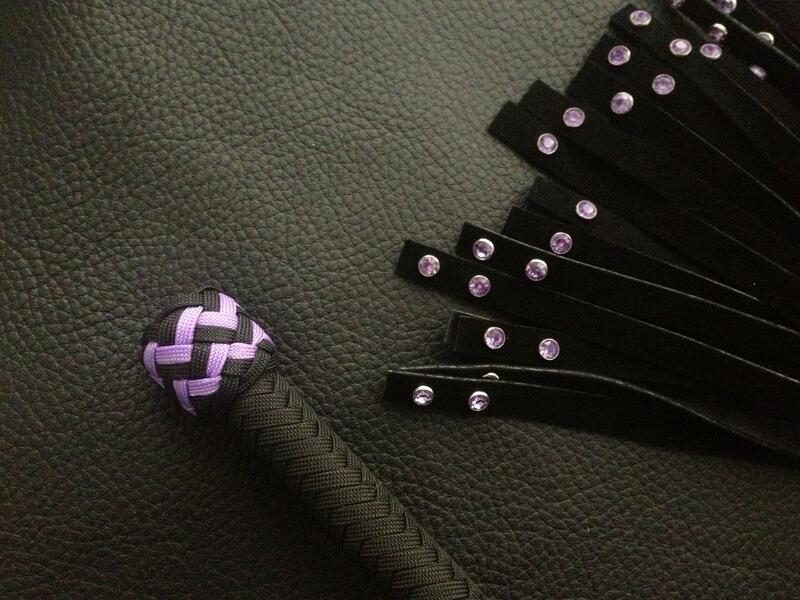 When used with force, the flogger is both thuddy and stingy with the weight of the purple crystals. Finished with a pair of turks head knots and purple knot detailing to match the crystals. Be the first to review “Large Flogger Black w. Purple Crystal Studs” Click here to cancel reply.